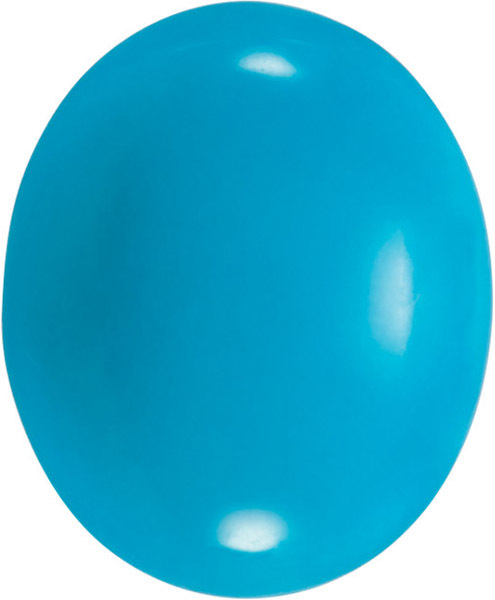 Turquoise in Grade AAA in Oval Cut This Natural Turquoise Gemstone in the AA Grade, Displays a Distinguished Bright Light Blue Color, With a Good Cut, Good Polish and No Matrix. 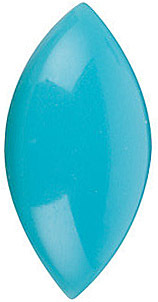 This Turquoise Gemstone Has Been Treated With A Porous Gemstone Colorless Agent to Improve Durability and Appearance. 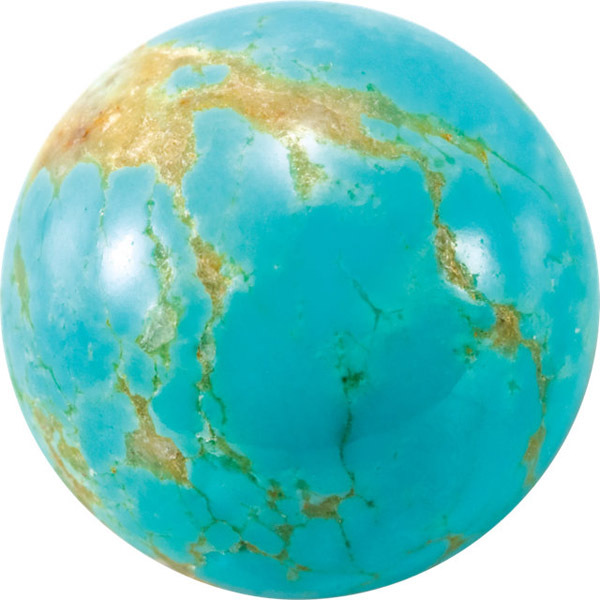 Cultures around the globe revere Turquoise as a mystical and holy gemstone. 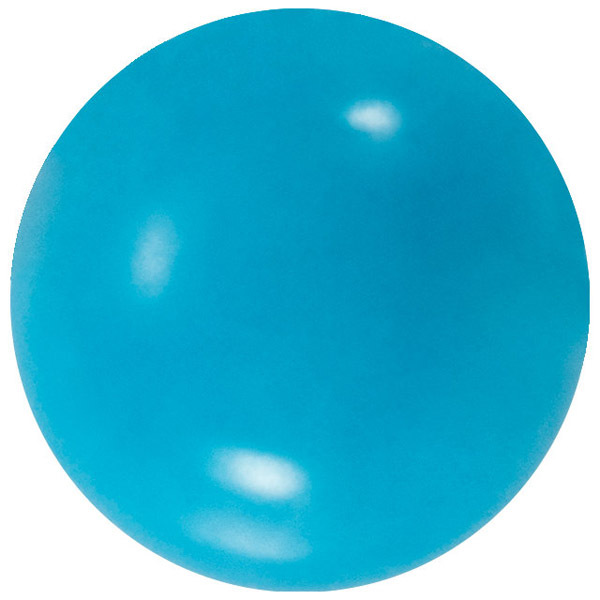 Its color represents a balance between the clear blue sky above and the ocean depths below. The beauty of Turquoise is unmatched and this affordable gem is always seen as fashionable and stylish. 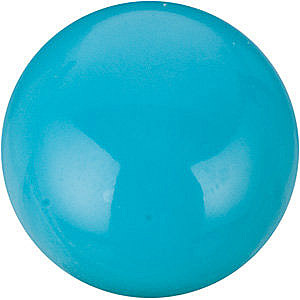 Turquoise is a gem given to those born in December, to celebrate their birth. It is also the gem given in honor of the 6th and 11th wedding anniversaries. The brilliant blue of Turquoise is in demand as an accessory for contemporary fashions. While Turquoise in silver settings are familiar, designers are more frequently combining Turquoise with yellow gold, and mixing with other gems such as Pearls, Carnelian, Coral and Moonstone. There is no type of jewelry that would not be stunning with Turquoise. Whether it�s a ring, necklace or bracelet, Turquoise is such a flattering stone that it is gorgeous no matter how it is set. 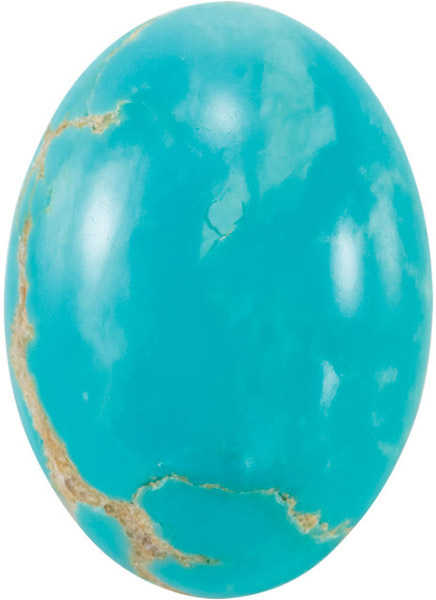 Turquoise has a hardness of 5-6 on the Moh�s scale of hardness and is a great choice for everyday wear. 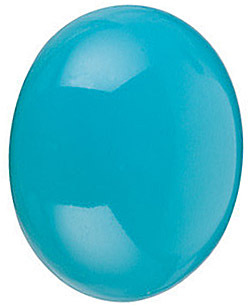 Find the perfect calibrated Turquoise gemstone from our amazing gem-quality Turquoise. The major sources of Turquoise are Australia, Chile, China, Mexico and the United States. 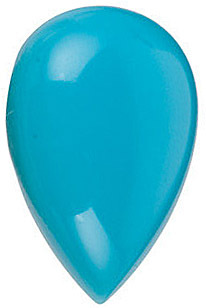 The name Turquoise reflects the fact that the gem was introduced to Europe by Levantine Traders, or Turks. Turquoise has been long revered by Native Americans and Turquoise carvings were placed on gravestones to protect the dead. The powers of Turquoise include wealth, healing, friendship and luck.